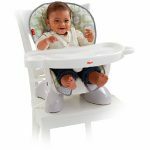 This Dining Booster straps securely to just about any kitchen chair, dining chair or restaurant chair to give you and baby all the features, comfort, and convenience of a full-size high chair in only half the space. 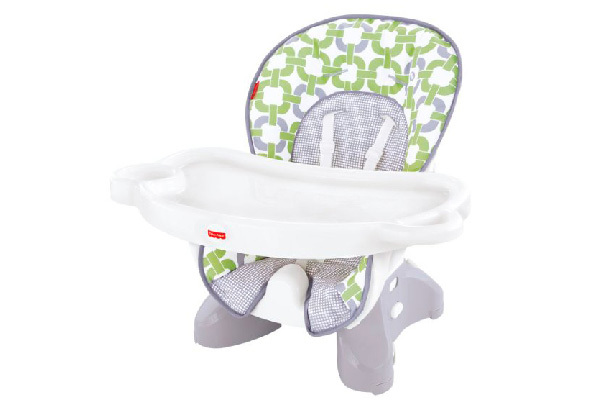 Two height adjustments and three recline positions let you customize the chair to your baby’s comfort. 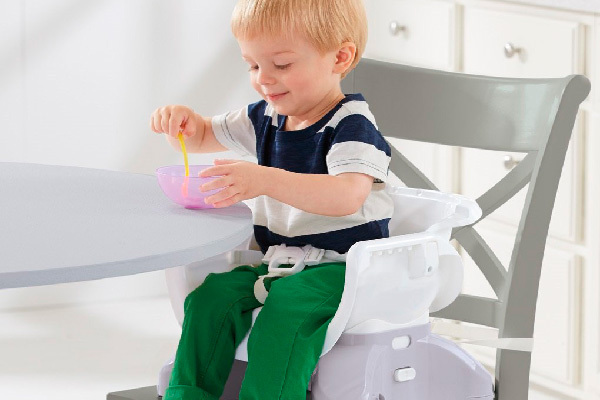 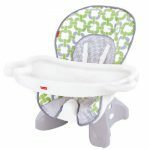 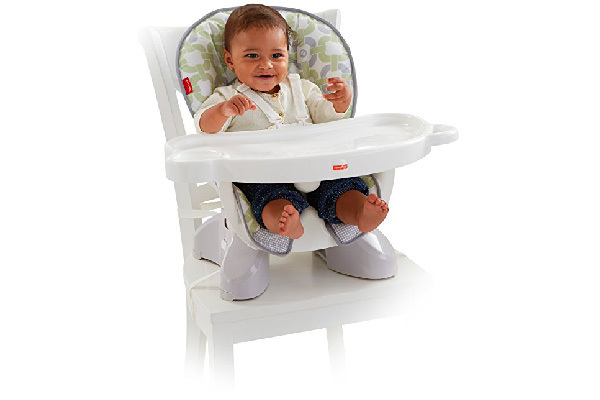 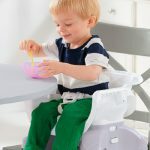 This baby high chair “grows” with baby from a reclining high chair seat for newborns, to an upright high chair seat for infants, to a comfortable, height-adjustable “big-kid” booster seat for toddlers!